This week also gives us a better look at Chibiusa who first showed up at the end of Act 14. 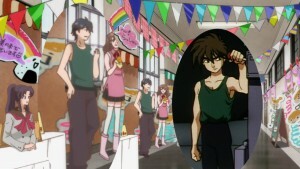 Amongst some background character we see a boy who looks an awful lot like Heero Yuy from Gundam Wing. What do you think? Last month Viz announced the voice actors you’ll be hearing as part of Viz’s new dub of Sailor Moon R once the Black Moon Clan shows up. You can currently listen to the dub of episode 60, which features the voices of Rubeus and the Ayakashi Sisters. We will be getting a lot more of these voices tomorrow as we get the dubbed versions of episodes 61 through 68 on Hulu and Neon Alley as part of the Mini Moonlight Party. The voices of Esmeraude, Saphir and Prince Demande will not be showing up as part of the first half of the season so we won’t be hearing them until later this year. These are mostly newly cast actors with the exception of Cindy Robinson who was previously cast as Queen Beryl and is now voicing Berthier. The cast of Viz’s new dub of the original Sailor Moon anime will be reprising their roles in Sailor Moon Crystal so we will be hearing these same voice actors once the second story arc of Sailor Moon Crystal gets dubbed. Yesterday we even received a Tweet from Rena Strober (credited as Rena S. Mandel) to let us know that she’s currently working on dubbing Esmeraude! We can’t wait to hear what she sounds like. 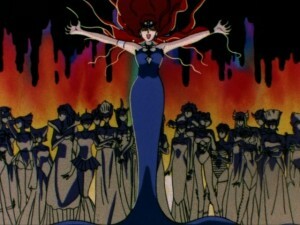 @SailorMoon_News I was back dubbing my favorite evil lady Esmaurald today!!! Can't wait to share her laughs! It was previously announced that Chibiusa would be voiced by Sandy Fox and Sailor Pluto would be voiced by Veronica Taylor. The first season of Viz’s new dub is currently available on DVD and Blu-Ray. 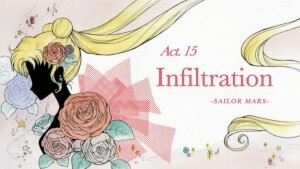 Sailor Moon R part 1 will be released in June. Buy these sets using the links below to support the site. 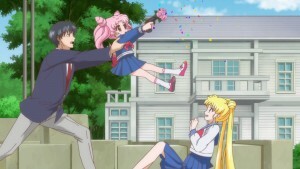 We’ve got four new dub clips to share from Viz’s new Sailor Moon dub. The first, uploaded to YouTube last week, is an exchange between Jadeite and Queen Beryl from episode 5, Scent of a Monster: Chanela Will Steal Your Love. Two more clips have been added to Hulu’s Sailor Moon page. 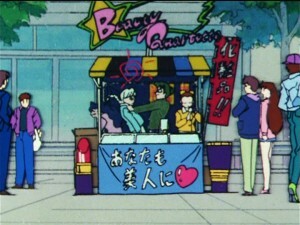 The first clip has Sailor Moon, Sailor Mercury and Sailor Mars fighting Jadeite in episode 13, Girls Unite: The End of Jadeite. The next clip is an extension of the clip we already saw between Luna and Sailor Moon from the first episode, but this time includes her transformation and a short clip of Naru’s voice. Finally we have more leaked footage, this time from San Diego Comic-Con. This fooage includes Umino from episode 2, Punishment Awaits: The House Of Fortune Is The Monster Mansion, acting evil under the influence of the fortune teller’s cards and interacting with Usagi, Naru and Haruna. We also see Usagi’s first meetings with Ami from episode 8, The Girl Genius Is a Monster: The Brainwashing Cram School of Horror, and with Rei from episode 9, The Cursed Bus: Enter Mars, the Guardian of Fire Several. 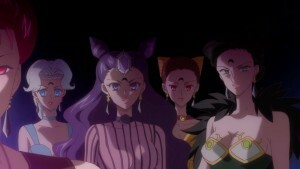 In these clips we hear the voices of Stephanie Sheh as Sailor Moon, Kate Higgins as Sailor Mercury, Cristina Vee as Sailor Mars, Michelle Ruff as Luna, Cindy Robinson as Queen Beryl, Todd Haberkorn as Jadeite, Ben Diskin as Umino and Danielle Nicole as Naru. Cricket Brown will be playing Haruna. This actress had not been announced previously. The actor voicing Rei’s grandpa is still unknown. Check out this link to see the rest of the cast. The new Sailor Moon dub will be included on the upcoming DVD and Blu-Ray release coming November 11th. You can pre-order it from Amazon using the link below. Two new clips of Viz’s new Sailor Moon dub have been leaked. These feature the beginning of episodes 1 and 2. You can hear the voices of Usagi, Ikuko Mama, Jadeite and Queen Beryl. These were recorded at Anime Expo on July 5th. Viz premiered the first two episodes of their new dub at a panel where they unveiled the new cast. Recording was not allowed at the panel which is why the video is not visible. Because these only included audio I’ve embedded the YouTube clips to only include the progress bar. The first clip is the beginning of episode 1, The Crybaby: Usagi’s Beautiful Transformation. You can hear Usagi’s opening monologue followed by the scene where she wakes up late for school and talks to her mother. Usagi is voiced by Stephanie Sheh and Ikuko Mama is voice by Tara Platt. In this second clip we hear the first bit of episode 2, Punishment Awaits: The House Of Fortune Is The Monster Mansion. It starts out with side characters talking about the fortune house but then contains a brief exchange between Jadeite and Queen Beryl. Jadeite is voiced by Todd Haberkorn and Queen Beryl is voiced by Cindy Robinson. Thanks to Dakota from our comments for finding these clips. Source: Baillie Puckett‘s YouTube channel. When it was first announced that Viz would be producing a new dub of Sailor Moon it was not clear who, if anyone, might be returning from the original cast. As we can now see this is an all new cast without any returning voice actors. Most of the cast seems comprised of voice actors having done other anime work. Let’s hope this new team does a great job! 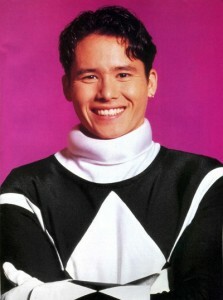 Sailor Moon fans already planning to go to Unplugged Expo in Toronto this September 27th and 28th will be happy to see that Johnny Yong Bosch, who will be attending the convention, will be voicing Artemis in the new series.